Wellness is a field that connects with earliest pharmacies and apothecaries dedicated not only to enhance wellness but to provide local or cultural remedies to disease. Anti-stress and dietary cures are a growing specialized field linked to healthcare. Therefore, an area of expansion of globalized medicine and healthcare translation fields. In the health and wellness centers, patients can enjoy different kinds of services and personalized programs of self-care, such as anti-stress physiotherapy, anti-stress therapy, dietetic cures and hydrotherapy, among others. Feeling well positively affects your health. Physiotherapy is part of the disciplines related to health, and, without the use of drugs, it helps even symptoms and chronic ailments palliation. Its techniques include massage, an important basis of anti-stress therapies, a set of techniques aimed at achieving physical and mental relaxation of the patient. Anti-stress physiotherapy sometimes can be complemented with relaxation rooms or foot reflexology, among other techniques. Physiotherapy contributes prevention, process healing or functional recovery , in the case of pathologies or chronic processes. Therefore, all through the three levels of treatment. Physiotherapists can be part of gyms, spas or wellness and sports centers, but they are also a demanded discipline in health centers, and as such, medical translators have a role in translating equipment guides, exercise guidelines, or any types of documents related to foreign patients. Hydrotherapy, a new field for medicine translation? All these wellness techniques are not as near healthcare, hydrotherapy has been a traditional and even luxury tool to relax, moisture and re-mineralize. Hydrotherapy with specific types of water (mineral waters) has also been used since antiquity as a medical treatment for specific illnesses. Even using hydrotherapy in a wide sense, massages can be carried out with the help of water, creating hydrotherapy circuits, which may include foot baths, hydro massage with fresh or salty water, bi-thermal showers, Turkish baths (hammam), jacuzzi, hydrotherapy pools, saunas, Roman baths (including frigidarium and caldarium), or countercurrent circuits, ice fountains, cold pools, therapeutic water springs. Mineral water treatments are considered part of healthcare. In this sense, medical translators have a specific role in this area. However, hydrotherapy was overgrown medical therapy to reach beauty and pleasure sectors. 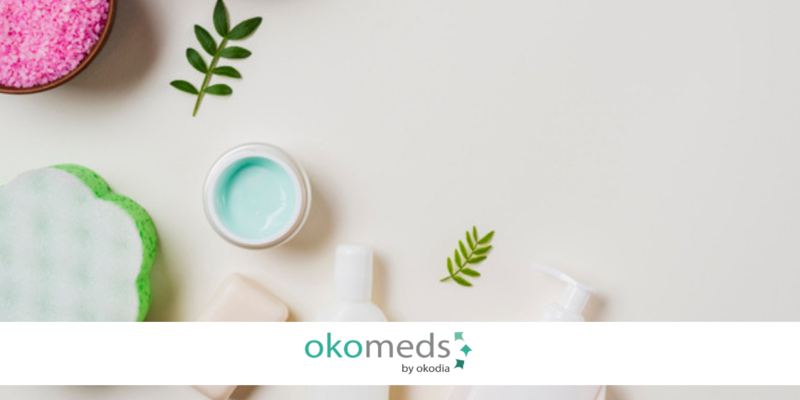 Sometimes, they are combined with other elements such as essential oils, flowers … In this sense, although translations will be necessary anyway, medical translation has a smaller space in this type of therapies. Dietary treatments to be safe need to have a nutritionist and a doctor’s supervision. This means that this type of treatments are usually recommended for body purifications, including stress, unhealthy diet, but also, they must take into account the patients’ health status quo, to avoid any health problem and reach the objective to improve the patient’s wellbeing. Of course, dietary cures are related to food and the sense of taste, but they are not limited to that. They can include an exclusive selection of specially grown foods and medicinal plants, natural foods, therapeutic and revitalizing drinks, specially designed by experts in nutrition and doctors. Different types of natural infusions are very popular, prepared with exclusive mixtures to favor certain effects or treatments, such as, digestion improvement, reducing fluid retention or swelling relieve, among others. These types of dietary treatments can be designed to help patient change their habits and apply them afterwards to their day to day life, or they can be designed for certain periods of time, with a purifying objective. Anyway, these wellness treatments must adapt to the needs of each person. Thus, they can be designed not only to purify and detoxify, but also to lose weight, rebalance the body, reduce stress, take care of the skin, take care of the muscles and joints… They can even have anti-aging or anti-tobacco effects. As any diet must take into account the individuals health and should be, at least, supervised by doctors, medical translators have also here a huge area, not only related to dietary centers, but also with dietary foods, dietary drinks or dietary products in general, as to be included in those categories, the products need to have specific characteristics and effects on the body and the individual health. This is also a highly regulated area, even when it surpasses the healthcare area to join that of beauty or esthetics. Is anti-stress wellness therapy linked to medical translation? Bearing in mind that the sense of touch is the one that occupies most of the brain, massages not only help to release tension, but also are stimulating, natural and without side effects. The massages are used since immemorial times as a natural sedative, eliminating stress, anxiety and improving mood in general. When accompanied by aromas, oil or creams, quiet atmospheres, sounds, music and beautiful places, the attention of other senses also will be awakened, such as smell, hearing and sight. When anti-stress therapy is practiced regularly, in addition to relaxing, it improves concentration and efficiency and it has a positive effect on sleep and causes the so-called chronic tiredness to disappear. Although they are very healthy therapies reaching even meditation, they are not specifically categorized as a medical translator’s field. In this case, if the role of the medical translator in not absent nowadays, it is an area where this professional services are less demanded. Probably not because the need of translations is absent, but because today it is not included properly in the healthcare field, but in a more general wellness one. Anti-stress therapy aims to relax body and mind, using massages, which contribute to muscle and mental relaxation, or, other natural elements. Massages can be deep tissue, simply relaxing massage, decontracting, lymphatic drainage or even anti-cellulite massages in beauty treatments. They can also benefit certain ailments, as circulation in tired legs. Natural elements include, light or sun, plants, stones, crystals, or water. Therapies to recover circadian rhythms, practicing exercises and using natural remedies to recharge energetically and improve our health is and growing market, even a trend parallel to the pharmaceutical industry, but with similar routes in antiquity. However they combine with other that move our senses as mud and seaweed wraps, chocolate, oils, to enhance the experience.